Dragon Age: Inquisition might just be the game that brings me into the series. After giving multiple tries in the original Dragon Age: Origins, I could never really get into the game. That is certainly a little ironic, since I’m such a huge fan of the Knight of the Old Republic games, which play pretty similarly. Still, it’s safe to say that Inquisition impressed the hell out of me at E3. There was zero anticipation for me going into the show for this apparent refocus for Dragon Age. After hearing mixed opinions on the second game and the following re-structuring of Bioware, I didn’t think anything decent could come out of that studio. Three days later, having seen the game during my second day at the show, as well as in the Electronic Arts press conference before E3 proper, I have turned around completely. Dragon Age: Inquisition‘s presentation jumped ahead through story bits and landed straight in the middle of the action. The first part had a group of the dwarf main hero, a minotaur berserker, an archer chick and a mage heading out and questing, all the while inquiring about a dragon. Well, they sure found that guy quite quickly, rounding out that part of the presentation with a long and drawn out fight against a tough cookie of a lizard. In combat, Inquisition looks to be the natural evolution of what we’re used to seeing in tactical role-playing combat, with an on-the-fly command prompt that can be used with the game both paused and in movement. The new concept that was thrown around by the presenter was the possibility of updating your issued command during the fight, without the need of an extra pause, by slowing down the action somewhat. That resulted in a fairly interesting bit where the party mage’s targets got switched mid casting, without wasting any cast time. The boss itself, as an example of boss fights that will be included in the final game, was split into various parts, each given a separate health bar. According to Bioware, that gives an extra layer of strategic possibilities while fighting, since more often that not, there will be sections of an enemy that can be taken down in order to weaken it before the kill. With that in mind, it’s easy to imagine such an approach as a means of imposing an added difficulty on top of an already tough fight. After that fight, which ended in a draw of sorts – EA made it clear they did not want to have anyone kill the dragon, even on the playable demo – we were transported to another section of the game, which had the group infiltrate a castle in order to take down a rogue wizard. And that guy got killed, to everyone’s delight. That particular section showed off the Bioware flavor of story delivery, that gave options to avoid the fight altogether, for instance, or an even more inspired attempt at tricking that character into a truce. 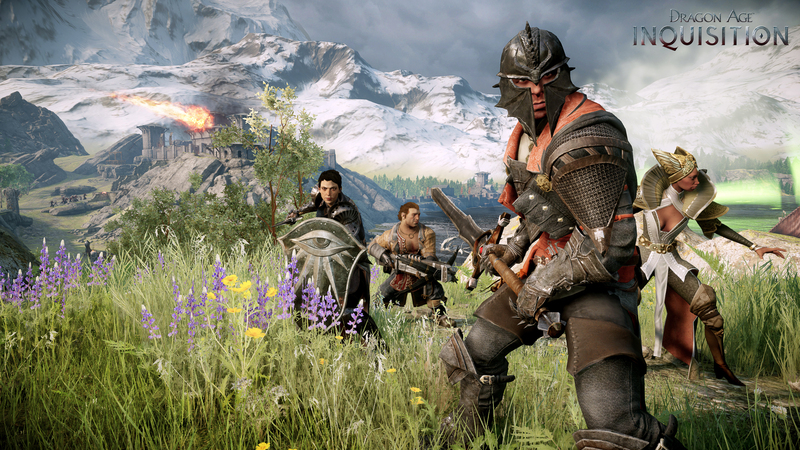 Dragon Age: Inquisition is still very much a Dragon Age game. The overall mood of the demo was dire to a painful degree, and people got really bloody. It seems that my fears of Bioware losing their edge were unfounded. I can’t wait to see the rest of the game, and I luckily won’t have to wait long. 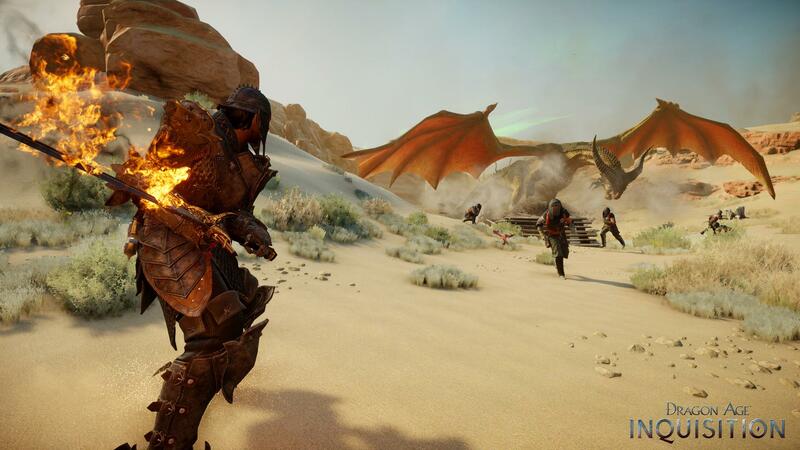 Dragon Age: Inquisition is starting its campaign in October.